Milk is serious business at our house. Literally. We have a secret revolving bookcase in our study so that on one side you can catch up on Twilight, War & Peace (oh, I ain’t got that one) or Pride & Prejudice (that one either) and on the other side…milk. Rows and rows and rows of milk in a cool refrigerator. For those neighbors who reach the point of desperation when the final drops of milk have slipped away from them, our Milk Cave exists. I wish I had a Milk Cave in my study. I wish I had a study. We do have a study, but I’m getting off topic here. Milk. Milk really can make me moody. Below is outline of how my mood correlates with the level of milk supply in this house. If I were you, I’d be very careful visiting us when the milk supply is at 5 drops. Life is absolutely FANTASTIC!! I got milk, people! I got TWO gallons of that mess all up in my fridge! I think I’ll have some Fruity Pebbles this morning AND tonight, suckas! If I do a belly dance, you will hear milk sloshing like a maniac in my tummy. Gummy Bears are straight up surfin’ in there! Kids, do you want to put milk in your water guns? We’ve got plenty! Who wants to have a milk balloon fight? This is gonna be AWESOME! Get…in…mah…tummy! Can I get you a glass of milk to go with your milk? Alright, kids. Let’s have a talk. We’ve got one gallon in there now. Let’s go easy on the Ovaltine. Mommy likes cereal for a late night snack, ‘mmmmmkay? Also, we can’t be taking milk baths anymore. When we had 2 gallons and were on top of the world, milk baths were a given. CHARLIE PRIDE (my 5 y/o’s pen name)! Are you using milk to dip your watercolor brushes in? This is RIDICULOUS! I told you the life of 2 gallon luxury we were living had to change once we were down to only one! Geez LOUISE! The dwindling milk supply affects us all, even the cantankerous office chair, as you can see above. When we can stop by the store? When can we stop by the store? When can we stop by the store? When can we stop by the store? Store. Store. Milk. Store. Milk. Chocolate Chex absolutely taste like rotten lizard eggs in my mouth without milk! I can’t let this happen! Yes, yes…Bocephus & Charlie Pride, you can have some chocolate milk. Grab the Ovaltine and the top of the toothpaste cap and let me whip you up some chocolate milk. You might as well hang it up. This is gone by the end of the stinkin’ day. The stinkin’ day, I tell you. I don’t have time to go by the store for more milk right now. How can I make this stretch? Kids, strain your Cinnamon Toast Crunch from your old cereal milk, get a funnel and put that white gold in the refrigerator…nah-yow! No milk?!?! [loud wailing and gnashing of teeth begin] Five drops! 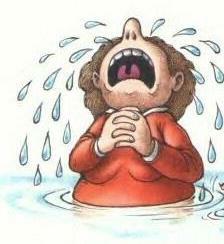 Five (sob) drops (sob)? I don’t care. Dampen those five Corn Flakes and let me just enjoy the bliss for a second or two. Why didn’t we get milk before now? Why do we (sob) let it come (sob) to this??? Why oh why???????????? Waaaaaaaa!!!!!!! 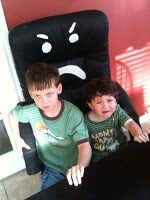 After a good cry, my two young sons help me get off the floor. This is when I dust myself off and renew my hope that we will have milk again. As soon as I enter the grocery store, my mouth begins to water at the thought of milk-logged Oh’s or Reese’s Peanut Butter Puffs. A smile replaces the frown as I wheel back to the refrigerated section and rescue those jugs from the cold, lonely and impersonal store refrigerator. It turns out that milk is good for my bones…and for my home. *That first nice cow picture is from www.reallynatural.com. 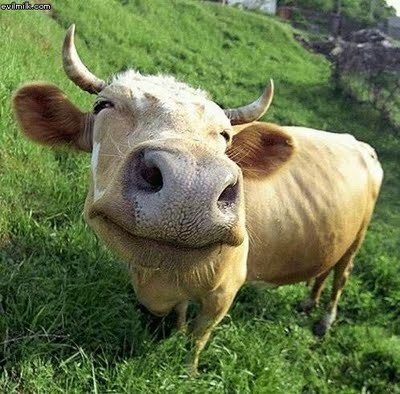 **That second nice cow picture is from http://www.thenightwriterblog.com/. ***That crying lady is from My College Life.